JOSE NAPOLES was born in Santiago de Cuba, Oriente, Cuba and fled Fidel Castro's Communist regime in 1962 and settled in Mexico City. In two reigns as welterweight champion, which encompass nearly seven years, Napoles made 13 successful title defenses. It's all but forgotten that Napoles was also one of the top lightweights and junior welterweights of the 1960s. But despite an 8-1 record against rated fighters, and he avenged his lone defeat via TKO 1, he was unable to secure a title shot. Among the contenders he beat were: Alfredo Urbina (L 10, TKO 1, KO 3), Carlos Hernandez (TKO 7), Eddie Perkins (W 10) and Johnny Santos (KO 3). 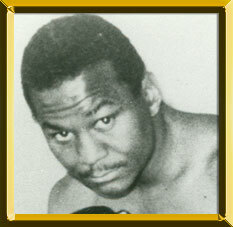 In 1967, he moved up to welterweight and earned a title fight against champion Curtis Cokes. Although his nickname was "Mantequilla" (Butter), referring to his smooth boxing style, his victims would probably suggest something more brutal. At the Inglewood Forum on April 18, 1969, Napoles gave Cokes a thorough beating. He cut the American inside his mouth, blooding his nose and swelling both eyes before the referee stopped the contest in the 13th round. His dominance of Cokes was justification of the decision by the managers of the champions at 135- and 140 pounds who chose to avoid the Cuban. Napoles easily handled Cokes in the rematch (TKO 10) and then beat future Hall of Famer Emile Griffin (W15) and Ernie (Indian Red) Lopez (TKO 15). He appeared unstoppable. But in his fourth defense, against Billy Backus in December of 1970, Napoles sustained a bad cut over his eye and the bout was stopped in the fourth round and Backus was declared champion. When they met in a rematch seven months later, Napoles regained the title with a fourth-round stoppage of his own. Napoles immediately put together an impressive streak of title defenses. He scored wins over Hedgemon Lewis, Adolph Pruitt, Ernie Lopez and Clyde Gray. In 1974, he moved up in weight to challenge middleweight champion Carlos Monzon but was stopped in the seventh round. Napoles returned to the welterweight division and retained his title against Lewis, Horacio Saldano and Armando Muniz (twice) before losing it to John H. Stracey in 1975. He retired after that fight.